This entry was posted on February 5, 2017 by MarksShrimpTanks. I get asked, "what is the difference between Caridina and Neocardina, and why can't they breed" a lot so I thought I would address it, interestingly enough there is more to it that meets the eye literally. Initially, I thought one of the main differences was rostrum length but it has become apparent that this can vary drastically from each sub species of Shrimp. For this very reason rostrum length cannot be a viable means of identification. To the naked eye there are no differences between the species other than the rostrum length as noted above. 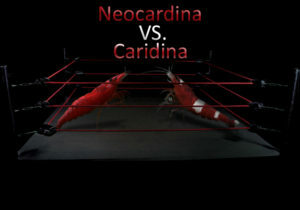 To see the only two differences between Caridina and Neocardina you have to dive in to the macro world. 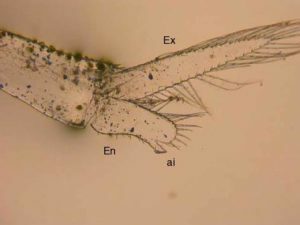 The first major difference is the shape and size of the reproductive appendage which is a modified swimming leg, it is the first set in a swimming pair called Pleopods. On Neocaridina the end of the appendage is called the Endopod also referred to as Endopodite, which is the inner branch of the crustacean's limbs, it is round and flat, almost like someone is holding a table tennis bat, while the end of the Caridina species appendage (Endopod) is longer but slender than that of the Neocaridina. 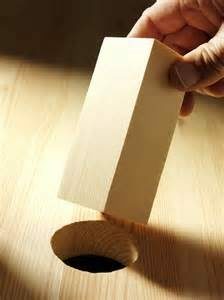 This is likely the reason the two cannot inter breed, their "parts" simply put, do not fit together. 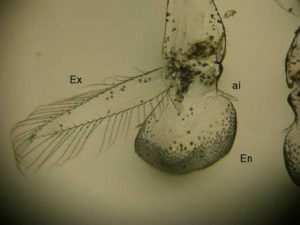 The other difference between the species is a small part on the first Maxilliped (body appendage), in most but not all (Mark what is an example of some Caridina species that do not have this?) Caridina species there is a small spur, almost like a finger (Endopod). This is something that is completely missing from Neocaridina.